We're finally getting an Operation Genesis remake, and it looks amazing! I'm taking this moment to celebrate!! ..We're ACTUALLY going to have a JPOG remake. Holy crap. Look at that Trex with steroids! I can't wait! I just hope it's on PC. Zoo Tycoon rebooted as console-only and that was disappointing. I have to wonder why this didn't come out when JW did or sometime last year. Yes, I know that Lego Jurassic World-which I love-came out, but one would have thought that Universal would have made plans for this. I think its safe to say that Universal were not really expecting JW to be as huge of a success that it was, and they will assuredly want to sustain interest in the franchise around the time of the new film's release. Plus, this looks like the game developers wanted to emulate the look of the park in the movie very faithfully and might have been in development since at least 2016, or late 2015 if one's optimistic. Either way, lets all hope it's good and lives up to hype and expectations as long-time fans of the franchise. Here's some more information from the Official Press Release. Because, again, movie sales dont account into video game creation. So uh...more like a HD version of JP:OG?...yawn. I hope it doesn't mean only Jurassic World will be in it and we have Jurassic Park stuff in there as well. I also would like to have characters from the film appear like in Operation Genesis and JP/JW Builder on iOS. Sure it's a bit cheesy but I love that they're there to help you. Aw man it's only for Xbox1 . Well, maybe Microsoft might port it to PC after it releases. Actually from what I've seen it's PS4, Xbox1, and PC. The mention of the Muertes archipelago means that the game will probably take the JP trilogy into account. I'm concerned that Frontier may not include mod support. Planet Coaster lacked it after all. Seems its from the same guys that made ZT2013 and Planet Coaster. I hope it's more like the latter and less like the former. Since it's coming on consoles I'm worried that it might be a bit limited or watered down the way Zoo Tycoon 2013 was (that was a massive disappointment btw, I'm still waiting for a proper ZT PC sequel), but JPOG was on consoles as well as PC so I hope I have nothing to be worried about. I just can't believe we're FINALLY getting what's basically the sequel to JPOG. 2018 is gonna be amazing! Well, Universal are jumping back in while it's hot. 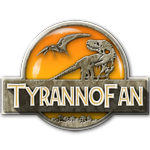 Smart move, with the plethora of dino indie games slated for release it's great to have an official JP/JW tycoon game. I was really concerned that dino battle arena games were going to be their go to money maker. That trailer reminded me of the JPOG opening right away, which is a very good sign. I was just thinking about the possibilities of an updated JPOG a couple days ago, so this announcement feels way too surreal. With the current hardware, anything from the original trilogy, JW, JW:FK, and more should be possible. I'm really excited and intrigued where this will go, but waiting to see the released product before expectations get too high. It may look so good, but also may lack many things. We'll see. 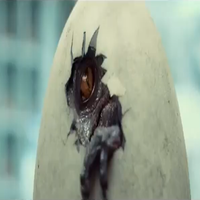 My hope is that the dinosaurs have skin variants based on the movies, with some extra ones just to add onto. Even if we have to unlock them, I'd still be happy. I hope that the Cinco Muertes islands come with the game and not as a DLC. Also it would be cool that they let you do your own skins and add the traits that you want to tour dinosaurs. If you guys are curious, the developers of this are the same ones that made Rollercoaster Tycoon 3 and Planet Coaster, as well as Elite Dangerous. 3. Breeding. For creating a cool game reserve scenario like Isla Sorna, the animals should be able to breed by themselves. So this kills Mesozoica I'm guessing. Can't wait for this, Frontier has a really good track record! Wow, we're actually getting what we've been asking for for years! A successor to JPOG. Looks Fantastic. Seems very faithful to the movie, and the texturing looks fantastic. Can't wait! As long as we have a Site B mode! A build your own park game set on Isla Nublar? I'm in! I just hope it's not too hard to figure out, since I've never played Operation Genesis. This also means that I'm going to have to upgrade my gaming system, since I've only had the original Nintendo system and two versions of the PlayStation Portable (first the original and then the slim). Now which console to get, PS4 or Xbox One, though I'll probably get the former, since I'm more familiar with PlayStation than Xbox. That trailer, OMG! Who wouldn't want to set Rexy loose on some unsuspecting tourist (or perhaps a disgruntled employee such as Nedry)? This is looking amazing! I never in my life expected to see another game like JPOG so hopefully this will be good! Perhaps a bit presumptuous to say, but I'd like to think that the JPOG modding community - which has at least 10-years history - played a part in this happening (a 2003 game still being kept alive and doing well on YouTube). I mean, a chain reaction of sorts in having a hand in inspiring those indie teams (huge JPOG fans) that are now out there fulfilling their dream in developing modern dino park simulators without JPOG's limitations, getting lots of attention (worldwide), and then prompting Universal to finally "reveal their hand". The best part -- it's going to have the authentic JP/JW feel. I think it's safe to say that the floodgate on dino games is officially open. Ripples have been sent across the dino gaming community with this announcement. It's about time. Special dream bonus: An expedition/survival-type mode, that's simmed. A group gets stranded on Sorna (or other island) by plane crash, or boat wreck. They have to make their way to a rescue point across the island -- you get to choose the animals that are put in their path, or a ready pre-set scenario. You get to sit back and watch it all unfold. Will it be graceful and beautiful, with only having herbivores? Or will a Carnotaurus be on their trail? You decide. So much replay value potential! Edit: Oh yeah, no stock Velociraptor, or stock T.rex please. Every animal and its individual variants seen in the films, or mentioned elsewhere, need to be authentically represented here. That should take priority over any hybrid stuff, which I have very little interest in.